Wondering what happened to Jed after finishing his MBE/EBMS (Masters of Entertainment Business) at Full Sail? 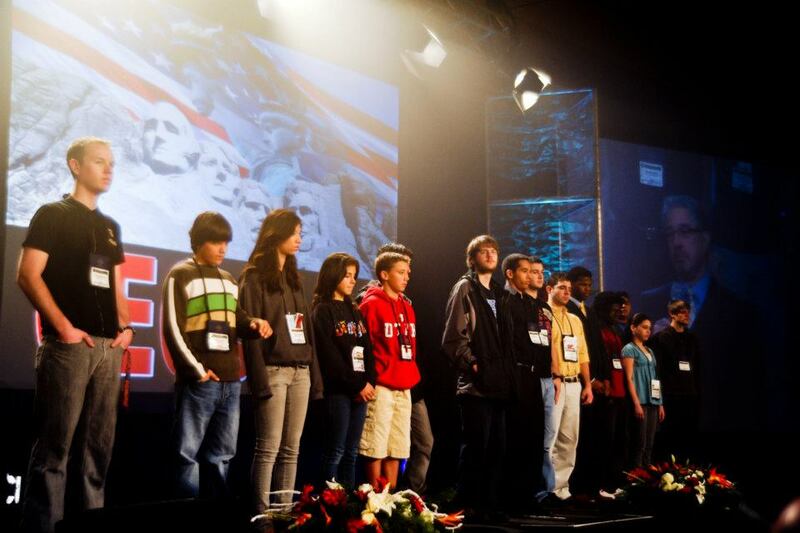 Jed went on to attend the #1 ranked (by the Princeton Review in 2015) Game Design program at the EAE Master Games Studio at the University of Utah. Nicole Kidman walks picturesque Park City street with entourage. Monday I attended a film finance seminar sponsored by Film Utah at Sundance Film Festival. Of course, if you have something real to offer, sometimes the industry comes looking for you. Amor fati. After the seminar, I learned of a pitch competition scheduled to begin in less than a minute. I paid the $30 entry fee and reviewed the projects I had available. 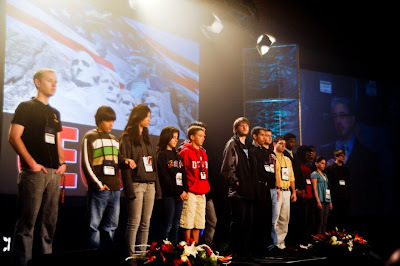 The big two I judged too big for the forum, but I put together a pitch in 15 minutes based on a story I spontaneously told my nieces and nephew a few years ago. The moderator drew my number early. I walked in with a smile on my chin that reached to my eyes and spread to my toes. I warmly and sincerely greeted the panel, and told them what I could do. Five minutes flew by fast, and it seemed they wanted to talk another ten, but rules are rules. Afterward, a distributor on the panel stopped me and said if I had an illustration or two, I probably would have won. She says when I have them, give her a call. Prior to that follow up conversation, I walked outside as animated as my project. I spoke to a friend who also participated, and let him practice his pitch on me. I became a five minute mentor and helped him see and present his project in a new way. He took a deep breath, threw his pitch behind closed doors, and happily reported that he incorporated some of my advice. A few minutes later, Nicole Kidman walked by our outdoor chairs with her entourage. Cell phone cameras rustled out of pockets like leaves in a summer breeze. My friend, wearing a press badge, tracked down Nicole’s manager to ask if he might score an interview. He got it. After a Sundance Salad at Filmmakers Lounge and meeting the founder of IndieGoGo and his head of “movies, television, and film” at The Hub, I called it a night. The Sun will rise to dance another day. I spent the afternoon yesterday in Wendover, Nevada with Goldman Sachs employees and guests. It was an unusual place for me to be, because I don’t drink, smoke or gamble, but I do like to observe business models, especially those relating to entertainment and finance. I made good use of the Oceans Buffet of Montego Bay Casino. (Oceans is one of the best tasting buffets I’ve been to, and there was a lot less smoke in Wendover than in Vegas.) I also got to know some very capable people. For example, through what I once thought was hard work and determination, I received an Eagle Scout award at age thirteen and a half. Two of five people at my table had theirs six months to a year earlier! How many people get there by seventeen, if at all? The event was a fundraiser for The Leukemia and Lymphoma Society (LLS). 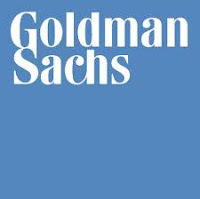 My friend Nicole works at Goldman’s Salt Lake office, now their second largest in America and fourth largest in the world. Nicole is a long time athlete, one time dive team champion, and is now preparing for a marathon in support of the LLS. I was amazed how many runners a non-track team could pack on one bus! I learned a lot about full and half marathons in a few short hours. The event also reinforced how valuable entertainment can be in promoting a non-profit cause. In some ways, entertainment is the perfect partner for doing good. As we formulate new entertainment industry ventures over the next weeks, months, and years, let us remember the power for good inherent in creativity and organization. Whether you put together a bus trip to Wendover for leukemia or a golf tournament to support kids with disabilities like my friend Rod, you have power to make the world happier, healthier, and intrinsically wealthier. Helping others succeed makes us better, too. For more on how employees of Goldman Sachs support The Leukemia and Lymphoma Society or to contribute, visit TeamInTraining.org! With a bit of extra thought, we can all help entertainment--in some ways society’s modest common denominator--be put to its highest and best use. Usually I read business plans. Today I write one. While the specifics of my plan are private for now, my review last week of Kawasaki's and Goetz's processes have me thinking about what investors value. What parts of my business plan would I value most as an investor? "What goes in must come out." How will my investment and experience benefit the company, and when and how will the company return the favor? Are the pieces in place for the company to take what I put in and make it into more? Once there are profits, will my equity stake continue to grow or can I take it back out to put elsewhere? Will there be dividends? Will there be a liquidity event where I can get money for my shares together with all other investors or by selling them on the open market after an IPO? 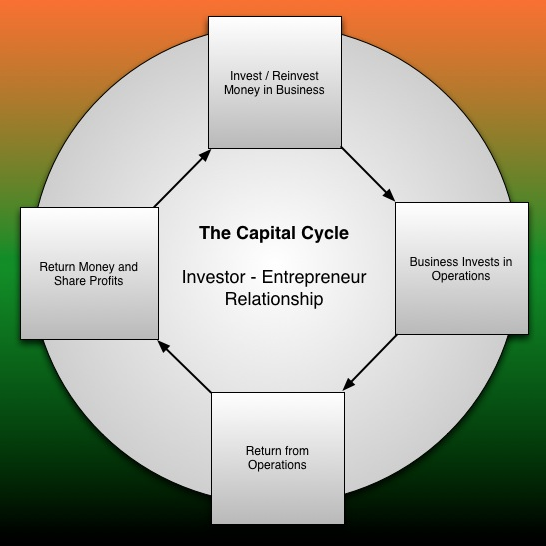 If there is no clear path to profit for the investor, why invest? Other opportunities are sure to offer clear pathways to profit. Are the entrepreneurs aware of the risks and what have they done to mitigate them? It is often the risks we are unaware of that create the most problems because we do not plan for them. Are there risks such as tax and healthcare policies that are not business environment friendly, out of their control and mine, and am I willing to accept those risks? Also, what is the attitude of the entrepreneur toward risk? Are they going to run the company right to the breaking point before they get a sale or are they planning for cashflow both short and long term? For companies with burn rates that exceed cashflow, how long before the company can sustain itself through sales? What are the chances it will take longer than expected to make cashflow exceed expenses? A car performs based on the kind of fuel in the gas tank. So does a business. High octane entrepreneurs make all the difference in execution. Will a business, like a car, sputter across the finish line or will it roar all the way? This is something you can get an idea of from the management bios. The entrepreneur him or herself does not know everything. Henry Ford did not. But does he or she know how to pick a good team and lead it to profits? Likewise, if there is a collision, will the entrepreneur collapse on the tarmac or pick up the pieces, fix the engine, and finish the race? Will I be the only investor in this project? If so, is the amount reasonable given my other priorities and the risk it may entail? Is there any chance I will need to add more capital to make this work and get my original capital back? Are the likely benefits worth the price of admission? What are the opportunity costs, especially better deals I may have to pass up to do this one? What will this investment cost me in time and attention, and will I get a return on my time and attention? 5. Is this opportunity for me? What factors in this plan fit or do not fit my personality and written rules for investing? Is this a company I can assist with more than money? Are there people or processes or contracts I can add that will increase the rate at which I will see a return and am able to invest in the next great opportunity? 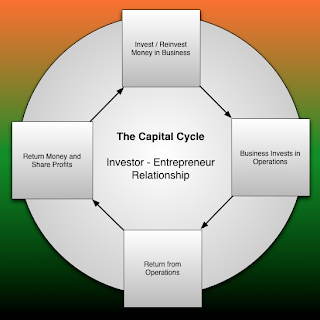 Capital is a cycle. You earn it, you invest it, you receive it back with profits, and you continue to invest as long as there are opportunities that grow your capacity to invest and otherwise give back. Beyond a good financial fit, will I be proud of this company? As I help to build its brand, will it build my brand and legacy of success? What else about this company seems like a good fit for my portfolio and positive ambitions? Kawasaki and Goetz have been in the shoes of both entrepreneur and investor. We would do well to get to know both sets of footwear, too, if we are to maximize our investor-entrepreneur relationships and profits, financial and beyond. Will my plan address my own questions, were I the investor? As I write, I will keep the perspective of both entrepreneur and investor in mind. Business Plan Pro - Professional business plan development software by Palo Alto Software. There is a new online version for those of us who no longer buy PC's. The New York Times Pocket MBA: Business Planning: 25 Keys to a Sound Business Plan - Lots of traditional advice in audio format. 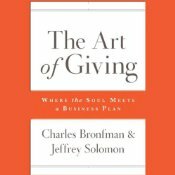 The Art of Giving: Where the Soul Meets a Business Plan - Download the free reference guide! The Social Network Business Plan: 18 Strategies That Will Create Great Wealth - While technically not about business plan writing, this book has great implications for how we write the marketing portion of our business plans. 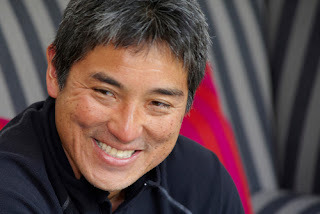 Guy Kawasaki, author of "Art of the Start"
Two people whose views I highly respect on business planning are Guy Kawasaki, author of Art of the Start, Enchantment, and other books on entrepreneurship, and Jim Goetz, a partner at Sequoia Capital. One of Kawasaki’s principles is to have a unique product that provides a real value. That’s what Apple does, and value does not mean low price. What I think Guy is talking about here is vision. A visionary sees something before it exists, and does what it takes to bring it about. A business plan is part of the visioning process. You can have an idea, but if you don’t write it down, you are the idea, and the idea can only be as big as fits inside your head. Entrepreneurs need to learn to delegate their business plan out of their head and onto paper or a computer. Writing a good business plan is like standing on a mountain top. It lets you see the big picture and share the big picture with others who need or ought to know. Think about the term Chief Executive Officer. What does a CEO execute? A business plan! It is not that the business plan should be static, because circumstances, markets, and organizations change. It does give them something to be accountable for with investors and other stakeholders, and when they make a change, they explain why they made the change and adjust the plan. In other words, an Executive is the other half of the Plan, and vice versa. One is not without the other. Jim Goetz suggests reading Inside the Tornado and Crossing the Chasm by Geoffrey Moore. Both are great books, and Crossing the Chasm is coming to audio in a few weeks for the first time. I recommend it. Jim says if we can get past this first challenge, his company is very interested in our companies, in this case meaning the Stanford class he is speaking to. 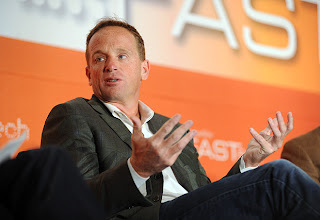 He backs entrepreneurs who attack a personal pain. He wants to know entrepreneurs’ strategy for creating unfair advantage. He likes to see products that exploit new markets. He says if something begins to work, it will exceed everyone’s expectations. Build a unique product and company that provides real value. Know why you are different, and be able to express why simply. Create a strategy for unfair advantage. Be clear in your purpose (vision) and presentation. Be the kind of entrepreneur investors will back. You matter as much as your company and product. As a kid, I collected Star Wars, Empire Strikes Back, and Return of the Jedi trading cards. 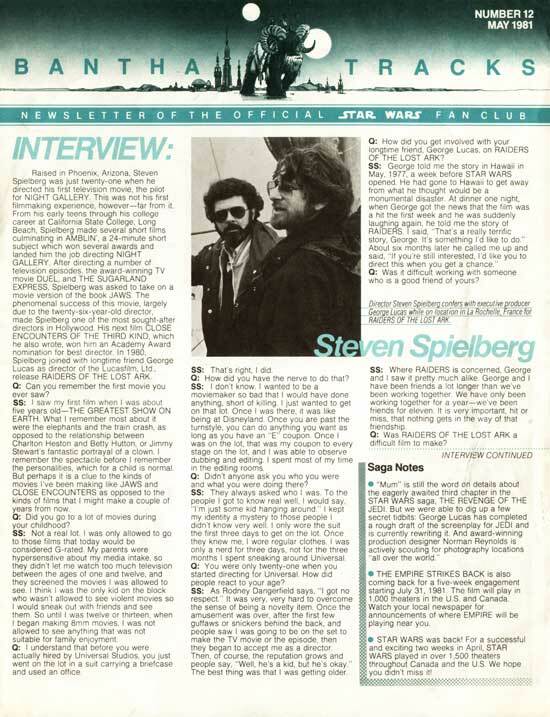 I had action figures, and a subscription to Bantha Tracks, the official LucasFilm magazine at the time. I think Empire Strikes Back was the first movie I ever saw after a re-release of Bambi. I also had a personal connection to the last of the three movies because my name is Jed, so one of the nicknames that has stuck with me for life is Jedi. Years later I was privileged to watch prequel Episodes 1, 2, 3 and look forward to doing so again in 3D. I knew all about Episodes 7, 8, and 9 because they were the plan all along, but rumor had it George Lucas had squeezed 7, 8, and 9 into the ending of Return of the Jedi, so they might never come out. Star Wars and Indiana Jones were my favorite galaxies growing up. My uncles watched Star Trek, but I considered it a cheap rip off of the real thing. Star Wars was my Harry Potter, my Hunger Games. You can imagine my surprise and delight when Disney announced its purchase of LucasFilm for $4 billion last week. Not only does Star Wars have a new owner, but there WILL be an Episode 7 in 2015, with Episodes 8 and 9 not long after. Was it a smart purchase? Is this a franchise still worth $4 billion after 37 years? Absolutely, and if anyone can make the most of it, it is Disney. We should have seen the signs already the year Star Wars came out. "Princess" Leia? Then in 1997 we met Queen Amidala. I wonder how Natalie Portman and Carrie Fisher feel about being Disney Princesses? Meanwhile, George Lucas is moving on to a whole new world of philanthropy. George plans to invest heavily in education through his non-profit Edutopia.org. If I could suggest a technology for him to work with and expand on, it would be Super Teaching. One of my plans for the next week is to introduce the two organizations. Watch for a call and written contact from Berny Dohrmann, Edutopia! Last week's deal will go down in history as not only significant to Disney and those who love Star Wars, but to the future of millions of kids, yours and mine. Maybe this week's introduction will add even more to Lucas' legacy? May the Force be with us! 1. Broadcast a positive, confident image. 2. Follow proper etiquette in handshake, introductions, and dress. 3. Give yourself confident credit. 4. Model enthusiasm and a positive attitude. 5. The face is the window to your soul, especially eyes and smile. 6. Use a clear, audible, enthusiastic, positive voice. 1. Did the person smile at least three times during the first interview? 2. Is the person self centered or customer centered? How do they show support? Focusing on these two attributes cut the level of Southwest's customer complaints by 98%. How might such attributes help you 1) get hired or 2) hire the right people? What if the actors in your film smiled a bit more. Would that impact people's perception of your film? How might your film make the audience smile? Remember, the audience is paying your salary and your bonus check. The bottom line is an inch or two above their chin.